Today’s letters go out to two exceptional women. Bryanne told me all about her lovely grandmother who recently celebrated a big birthday. 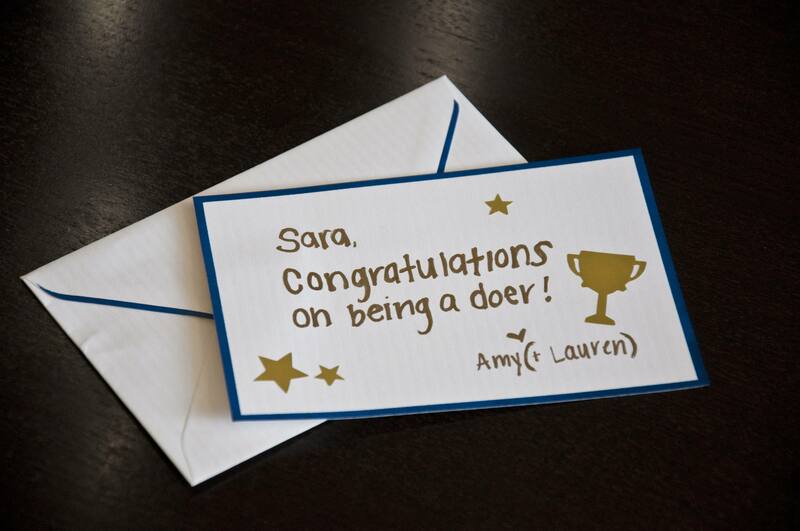 And Amy told me exactly what to pen to her friend Sara, the doer! I hope these gals like their mail! 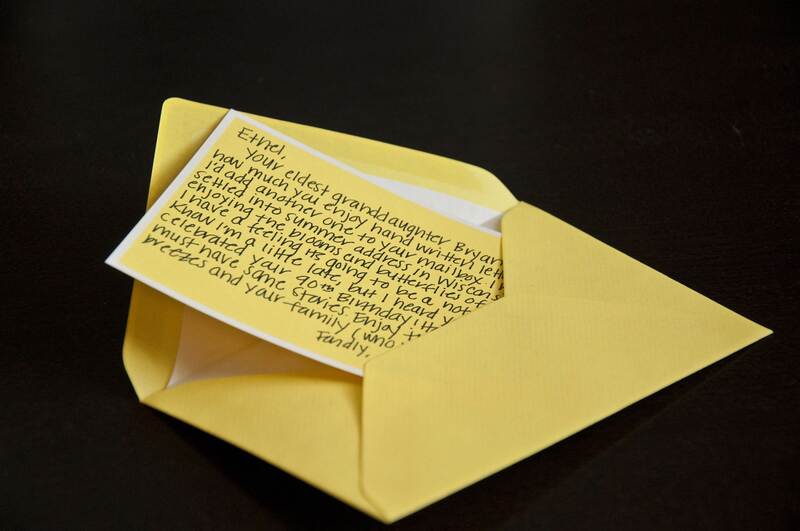 Your eldest granddaughter Bryanne told me how much you enjoy hand written letters, so I thought I’d add another one to your mailbox. I hope you’ve settled into your summer address in Wisconsin and are enjoying the blooms and butterflies of the season. I have a feeling it’s going to be a hot one! And I know I’m a little late, but I heard you recently celebrated your 90th Birthday! Happy, Happy! You must have some stories. Enjoy the summer breezes and your family (who love you so much!). Congratulations on being a doer!